The puzzles focus on all of the pre-primer Dolch sight words, but there are also two blank puzzles that you can use for other learning objectives your child is working on. 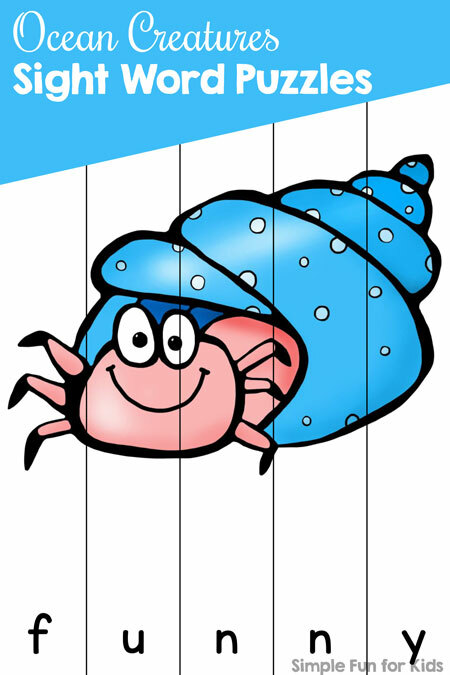 Marker (dry erase or permanent) to fill in the blank puzzles. On the 15 pages that are included in the file, you’ll find a total of 42 puzzles. 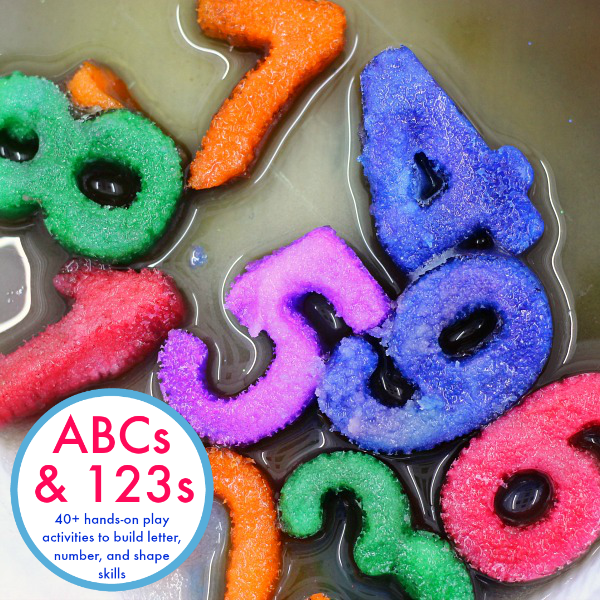 40 puzzles have one Dolch pre-primer sight word each with one puzzle piece per letter (the two one-letter pre-primer sight words are on two-piece puzzles with half of the letter on each piece). 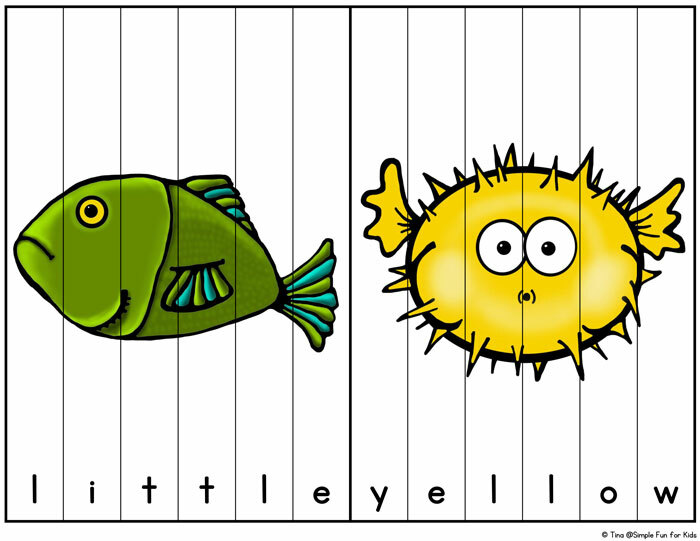 The remaining two puzzles are blank and can be used for other learning objectives or particularly tricky sight words. 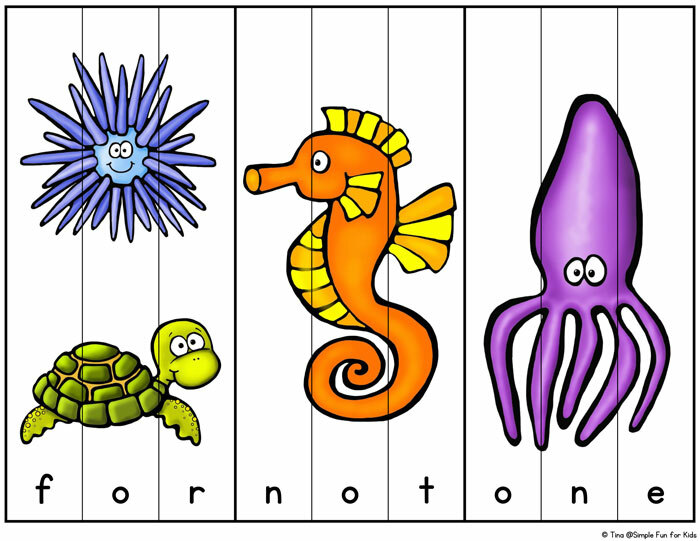 My very popular Ocean Creatures Memory Game uses the same super-cute clip art!